This unit can cross streams without making a movement roll. This unit can enter water hexes as though they were double-cost terrain hexes. While this unit is in a water hex, it can’t attack. 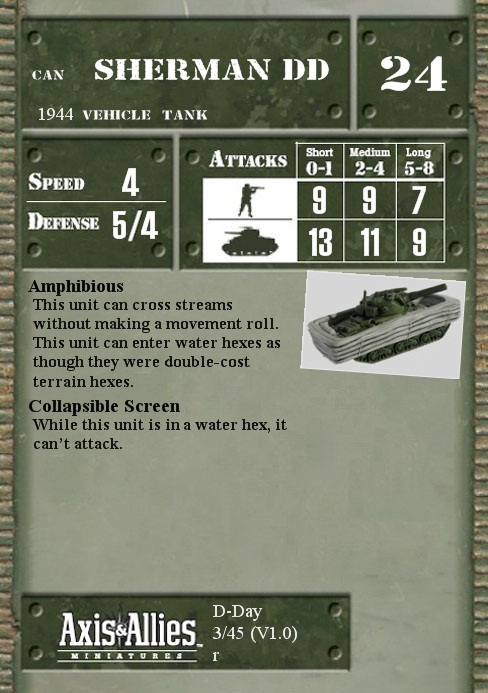 Q: Can an Amphibious Vehicle float down a stream? A: No. Streams are hex-side terrain. They don't run through hexes. They run in between them. Therefore, even if there were some allowance for this, the stream wouldn't lead you into a hex anyway.